Style: Richardsonian Romanesque, designed by architects Hartwell & Richardson. Stained glass windows by noted Lowell stained glass artist, Sarah Wyman Whitman. Whitman also designed the windows for Trinity Episcopal Church in Boston and other important buildings of the period. Other features: burial ground at rear considered one of the finest examples of Romanesque church architecture. Historical significance: Abraham Marland (1772 - 1849) emigrated from England in 1801. Marland pledge to himself "I solemly vow to my God and Savior that I shall plant my mother's church somewhere in America, if I prosper," he said, and prosper he did, eventually heading the Marland Manufacturing Co. incorporated 1834. He resolved there would be an Episcopal church in Andover" even if the whole cost of it were born by myself alone." On December 25, 1833, doubtless as a result of Abraham Marland's efforts, the first Episcopal Service was conducted in the South Church by Mr. Stone of St. Paul's Church, Boston. Again, on July 2, 1835, the Right Reverend B.B. 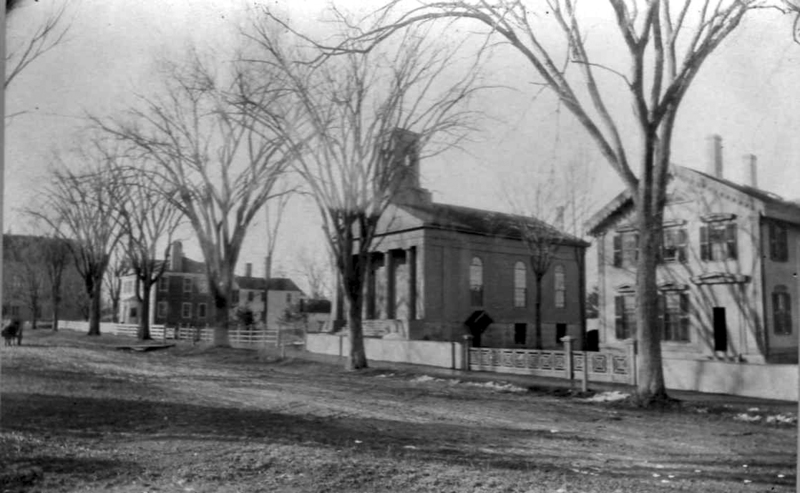 Smith, Bishop of Kentucky, held a service in the Bank Hall (the original building and present site of the Merrimack Valley National Bank on Main Street, which was then known as the Andover National Bank). A month later, on the 4th of August 1835, under Abraham Marland's leadership, twenty-three men agreed: "To form themselves into a religious society to be called the Episcopal Society of Andover," uniting in a petition to N.W. Hazen, Esq., a Justice of the Peace, To issue a warrent for calling the first meeting". A warrent was issued calling a meeting "at the hall over the Bank" on Thursday, August 6, 1835, at 7:00 P.M. At this meeting Mr. S.P. Cobb was chosen Clerk; Mr. Hobart Clark, Moderator; Messrs. Abraham Marland and Hobart Clark, Wardens; Messrs. John Flint, John Derby, Nathan Frye, Samuel Valpey, John Marland, Vestrymen. (The gravestones of many of these men are to be found in the Christ Church Burial Ground.) 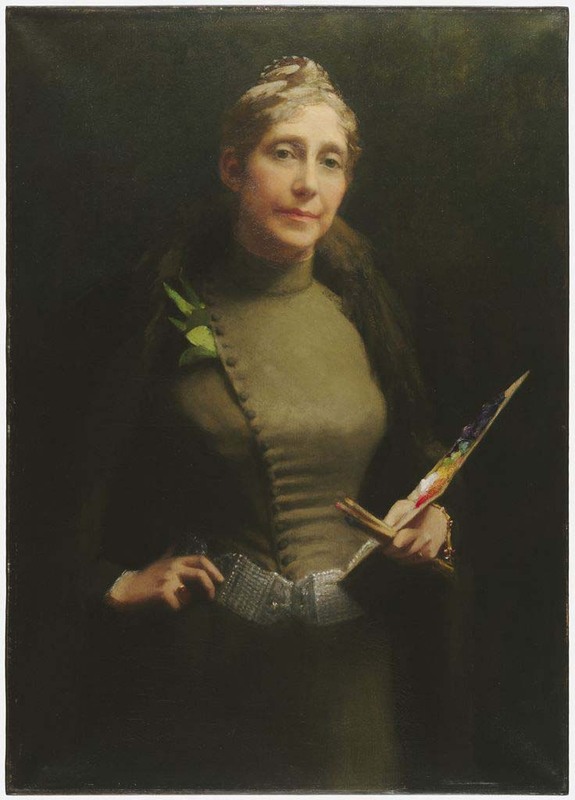 Thus, the Episcopal Society of Andover was legally and formally launched. All subsequent "anniversary" celebrations of the church's founding date from 1835. 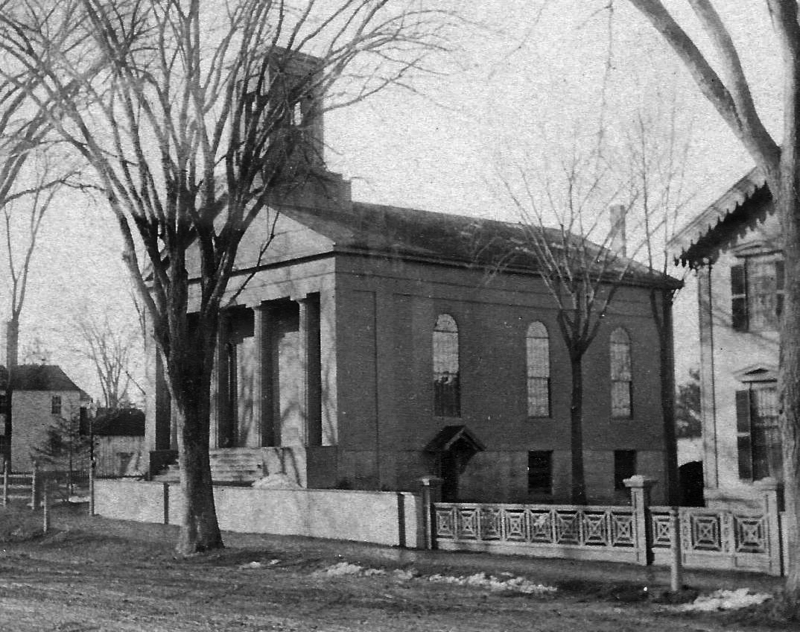 The first church building, on the site of the new parish hall was a neoclassical Greek Revival, wooden structure with four fluted columns and a wooden square bell tower. Abraham Marland paid $6,000 to realize his dream, and gave the land on which the church was erected. This church was consecrated Oct. 31, 1837 and the Rev. Samuel Fuller, a graduate of the Andover Theological Seminary, was instituted its first minister Nov. 1, 1837. Marland, his two sons and son-in-law, Benjamin Punchard, were the church's chief promoters. Abraham Marland also gave the parsonage lot, built the first rectory, while his son John is credited with giving the land for the burial ground behind. 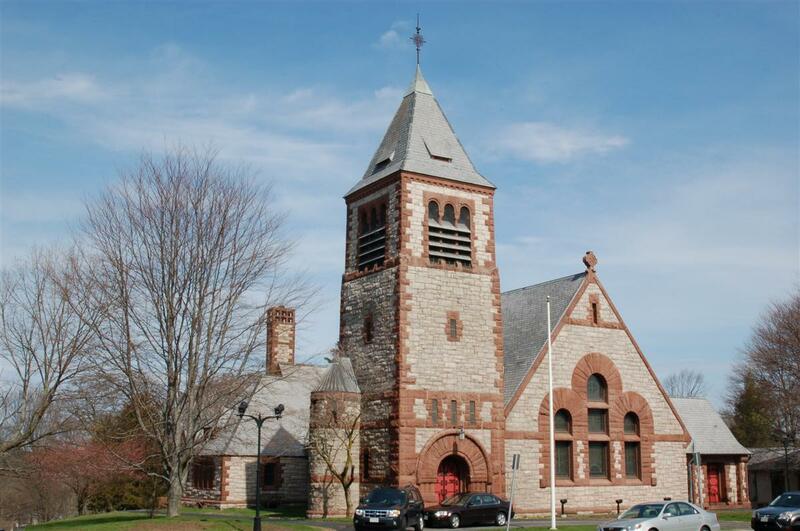 The original building burned in Feb 1886 and the present building, designed by Hartwell & Richardson built in 1887, is still considered one of the finest examples of Romanesque churches in New England. Before construction could begin the Mark Newman house which stood in the corner lot had to be acquired by the parish and removed from the lot. The house was cut up and moved down to the corner of School & Ridge Streets creating four tenements from the original house and ell wings off the back. See 18 Ridge St. for history on the Newman house. 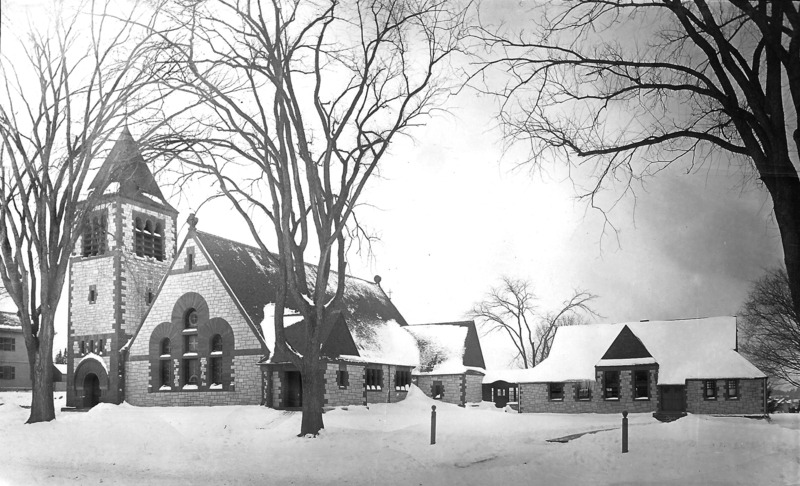 The present building was primarily the gift of John Byers. The modern educational wing (1966) designed by Lincoln Giles is an excellent blending of the old and the new, with the tans and browns of the old structure carried over in the new addition with stucco and wood. The property that now holds the Parsonage and the Church Vestry ell was once owned by Abiel Upton, Jr. a "Trader", who owned the home, now "Glebe House", at 25 Central St. Upton later sold the property, with buildings, for $1500 to Samuel Johnson Jr., a Physician on July 23, 1827. The deed was not recorded until May 16, 1832. Abiel Upton died on Aug. 15, 1831 age 74, and is interred at South Parish Cemetery. Dr. Johnson may have held deed and then had it registered to aid in settling Upton's estate. Dr. Samuel Johnson Jr. was born in Andover on May 10, 1800 son of Samuel & Mary Johnson. Samuel married on November 21, 1827 to Susanna Barker b. Jan. 29, 1806 daughter of Nathan & Sarah Barker. Johnson would own the Glebe house twice. Dr. Johnson first sold the property to brothers, John Marland and William S. Marland on Dec. 24, 1835. for $3500. The property was 3 acres and included the current site of the Christ Church Vestry and Parsonage and a small portion of the lot behind the house at 8 Brook Street. That strip of land would be later sold to Pamela Wood foe $25. which was 12' wide on Brook St., 82' deep and 13' across the rear of the piece. The Marland brother's divided the lot up and sold to the Proprietors of the Protestant Episcopal Church of Andover about 2 acres of the Johnson property on Apr. 25, 1837, rec. May 6. 1837. The parcel was between the Johnson house and Mark Newman's property, now the site of the current Christ Church Sanctuary building and the section of School St. to the depot. Mark Newman's house was on the site of the present Christ Church Sanctuary building. AA Sept. 17, 1859 - Auction sale – Estate of late Mark Newman – Sept. 24, 5 pm at his house in Abbott Village – house consists of three tenements. In 1872 School Street was extended to the train depot and the road was placed between the South Parish Cemetery and Newman's house lot. Mark died on June 15, 1859. His daughters Margaret Newman and Hannah N. Fay sold the house and property to the Proprietors of Protestant Episcopal Church also known as Christ Church Parish on November 21, 1885 for $6000. The next month the Christ Church Parish put the Newman house up for auction provided it was moved off the site. Dec. 11, 1885 Andover Advertiser (AA) p2 – The Henry [sic] Newman house, corner of School &Central Streets will be sold at public auction tomorrow afternoon at 3’ o’clock.